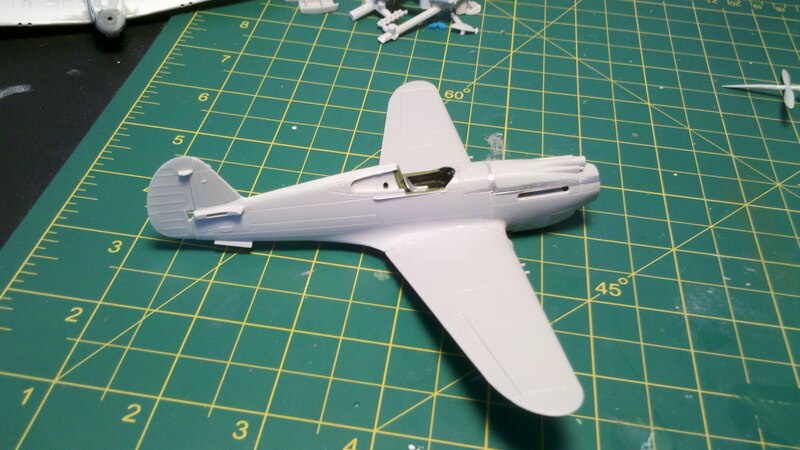 After releasing a very nice Spitfire II conversion 3D-Kits.co.uk are back with two new packages. First off we have the Spitfire Mk. II LR conversion kit which consists of a two part injection molded fuel tank which fits under the port wing of the Spitfire and a small decal sheet with two options, a rather bland aircraft of 66 Squadron, and the appropriately punny "Counter Attack" of 152 Squadron that was funded by NAFFI. (Not a hard decision as to which one I will build.) 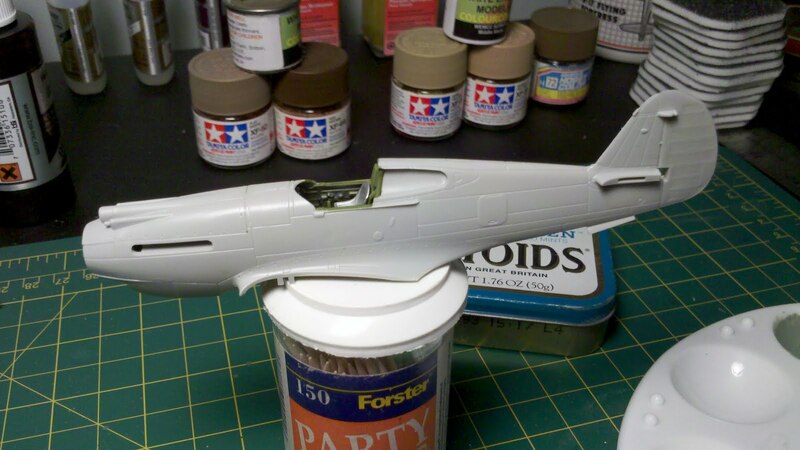 The small decal sheet has only the codes, serials, and nose art, so roundels, fin flashes, and stencils will need to be sourced from the kit decal sheet. 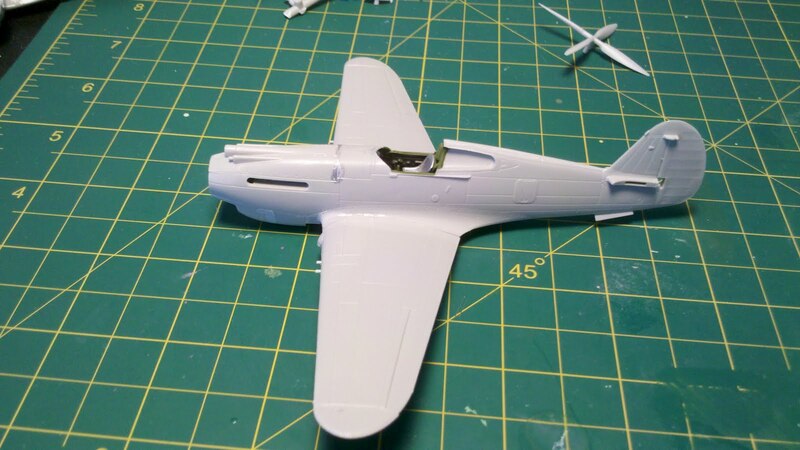 The injection molded tank is perfectly molded and with the decals included, makes this a very simple conversion which will help destroy the good looks of the new Airfix Spitfire. The other packet is a set of two Vickers S guns to convert any Hurricane IIc kit into a Hurricane IId. In this set a small decal sheet is included for two 6 Squadron aircraft in the desert scheme and a day fighter scheme Hurricane from the 1st Specialized Low Attack Instructors School. Again only the individual markings are included and you are on your own for roundels and fin flashes. This conversion is slightly more complicated than the Spitfire LR and will involve some sanding and filling of the IIc wing of whichever kit you choose to use. The guns are beautifully molded and can be fitted either exposed or with the more common fairings. Also included are two ammo boxes for the diorama fans. Really, really nice, and while both the old Airfix and Matchbox kits included the IId option, there is no comparison. These are some really nicely molded guns. It is hard not to reach for a Revell Hurricane and start building. It really is amazing to see a small company issuing full run injection molded conversions in this day and age. These parts are on par with anything from a major manufacturer. If the topics interest you, treat yourself to one or both. Now how about some Hurricane IV radiators? Now that life has started to settle down and the fall has arrived, it is time to think about modeling again. Rather than actually finishing one of the three...yes three...Spitfires awaiting canopy masking and paint, I started something new. Airfix has just issued a new Tomahawk at a very fair price and in one fell swoop has condemned the high priced Trumpeter kit to has-been status. Never a great kit, for a short while it was a contender only because its competition was so weak. Rather than give up on it, I decided it would make a nice no-stress build to practice on. So the cockpit was brush painted Humbrol Interior Green, given a quick ProModelelers wash and here we are. The goal of this build is very simple, finish it and rediscover the joy of modeling. Don't worry about all the silly AMS things that always stand in my way. Heck, it isn't that good a kit, so why worry? So far, so good. I can't say I'm enjoying the build...it just isn't that fun a kit, but I am making progress. I'm at the dreaded filling and sanding stage now.